Birthdays bring laughter and excitement to all children. 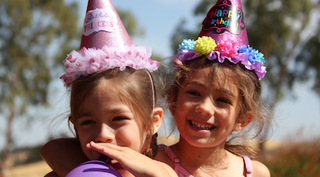 From family and friends to presents and cake, there's nothing like a big party to celebrate the life of a child. Unfortunately, many children who are homeless do not get to experience these magical memories on their special day. Those experiencing unstable housing issues so often miss out on the celebrations most American families experience together - especially birthdays. But you can help change all that and help a child celebrate their special day. Children, youth and families hold a special place in our hearts. From our organization's inception, finding ways to stabilize and uplift each family in need remains a top priority. As we work to prevent and end homelessness for thousands of individuals and families, we need your help to put a smile on the face of the children and families we serve. We are currently serving families and children in the Sandusky area at our Crossroads shelter and in Indianapolis.